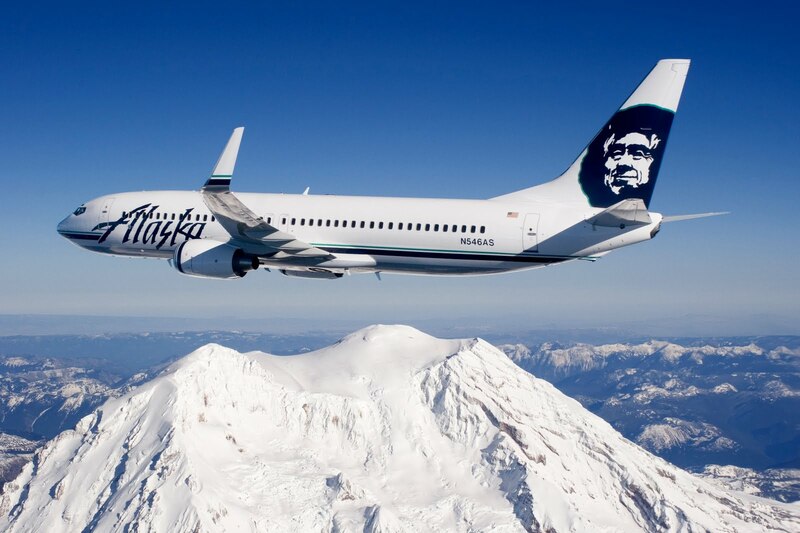 Alaska Airlines has introduced Gogo inflight internet aboard most of its flights and is celebrating by offering passengers free Wi-Fi access for smartphones and iPod touch devices until the end of September. The Gogo service enables passengers to browse the web, use emails, access online music, play games, view podcasts and connect to private networks throughout their flight. It is available from US$4.95 on other Wi-Fi enabled devices including laptops, iPads, netbooks and tablet computers. Charges are based on the length of flight and the device used. From 30 September, charges will apply to use Gogo internet on all devices in flight. 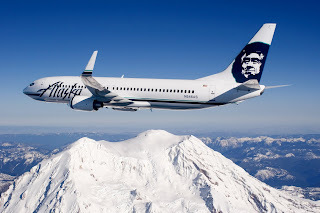 Alaska Airlines and its partner, Horizon Air, are based in Seattle, Washington, and fly to over 90 destinations in the United States, Canada and Mexico. From Australia, passengers can connect with Alaska Airlines in Los Angeles, San Francisco and Hawaii. Alaska Airlines is a code share partner with Qantas on flights from Australia to the US cities of Seattle, Portland and Anchorage, and to Vancouver and Calgary in Canada. It is also a partner airline with V Australia on flights from Los Angeles to Seattle, Washington, Vancouver and Mexico. Alaska Airlines is represented in Australia by World Aviation Systems. For more information or to make a booking, contact 1300 304 135. Kenya has proven its popularity with Australian safari seekers, recording an impressive 19.3% growth in Australian visitor numbers for the first six months of 2011 compared with the same period 2010. January-June, 8,975 Australians experienced the magic of Kenya, compared with 7,522 in the same period last year. The biggest increases were seen in January (32.2%) and May (29.4%). The Kenya Tourist Board is expecting to see major growth in the second half of 2011, when visitors will flock to the country to witness the annual wildebeest migration. African specialist wholesalers have reported excellent forward bookings for the rest of the year, despite the expectations of this being peak period for Kenya, reports have identified this as one of the best years on record with bookings for Kenya outperforming those of other African destinations. Fiji and its national carrier Air Pacific are hosting some of the world's biggest names in the sport of Stand Up Paddling (SUP) this November. To be held just 10 minutes by boat from the Nadi International Airport on the island of Namotu, the Namotu World Paddle Challenge Fiji will consist of a two-part international challenge, featuring the two principal components of current stand up paddle racing: Long distance and Sprint style surf slalom. It will be an epic battle of skill between all the athletes but all eyes will be on current World Surfing Champion Kai Lenny (HI), who is looking to secure his second world title this year and the current champion, Hawaiian (HI) Connor Baxter who is leading the racing discipline. Hot on their heels is Australian Jamie Mitchell, a 10-time Paddleboard World Champion who will be looking to assert his dominance close to home. Chuck Patterson (USA), a premier figure in California's exploding market for SUP and winner of some of the biggest races in the last two years, rounds out the world champion roll call. Athletes from every corner of the globe will stand up to be counted; battling for the Long Distance title as they race across Fiji's unparalleled calm ocean surface and ride the gnarly surf breaks for the Sprint Style title. The event will also provide the perfect platform to generate a wave of adventure tourism in Fiji and position Fiji's affordability as a destination and the Air Pacific's well-established routes from Australia, New Zealand, Hawaii, Hong Kong and the US mainland Los Angeles. For Air Pacific, this is only the start of a weeklong festival of paddling. The entire event is seen as the perfectopportunity to introduce the sport to the Fijian people and encourage localparticipation across all levels. The participating athletes will hold clinicsfor the youth of Fiji, shaping future champions of this unique sport and offering some of their best tips to catch the perfect wave. On the final day of the festival Fijian locals and visitors alike will be invited to participate in fun races, family relays and initiation lessons. The sport of Stand Up Paddling has experienced staggering growth over the last 5 years, reaching all corners of the globe and inspiring people to get out on the water regardless of age, location, and level of physical prowess. "Air Pacific is honoured to be bringing this exciting event to our own backyard,' said Dave Pflieger, the airline's Managing Director and CEO. "The Ocean is an integral part of Fiji's everyday life and an essential experience for tourists. We strongly believe that the Namotu World Paddle Challenge Fiji will not only bring visitors directly to the event but also ignite the SUP momentum here, both on local and international fronts. Travel Weekly has teamed up with the Papua New Guinea Tourism Promotion Authority to offer budding photographers the trip of a life time. Five talented travel agents will win a place on a photo safari that will see them visit the remote interior jungle of PNG and its hill tribes as well as the stunning islands off the mainland’s coast. For a chance to win a place on this amazing journey, send us your best pictures from either a famil or a personal holiday. Along with the image, we want you to tell us which of PNG’s special interest holidays appeal to you, whether its jungle landscapes, portraits of unique people or the underwater realm. Email your photos and answer to us by October 31, 2011 for your chance to be one of the five agents selected to take part in this life-changing adventure. Visitors to Kota Kinabalu, Sabah Malaysia are now able to experience the good old era of the steam locomotive onboard the North Borneo Railway. The North Borneo Railway is a joint project between the Sutera Harbour Resort and the Sabah State Railway Department to help enhance the existing infrastructure and to promote Sabah as a tourist destination. The North Borneo Railway was officially launched on 22nd January 2000 in honour of Kota Kinabalu achieving city status on 2nd February 2000 and it was temporarily closed due to the reconstruction of the track by the Sabah State Railway Department. The North Borneo Railway features a British ‘Vulcan’ Steam Engine number 6-016 manufactured by the Vulcan Foundry Ltd in Newton-le-Willows in Lancashire, United Kingdom and is the last of a fleet of locomotives that plied the tracks through Borneo since the late 1880s. The British ‘Vulcan’ steam engine locomotive, which commenced operation on 4th July 2011, is one of the few functional locomotives fueled by wood that is now plying these very tracks to offer passengers an unforgettable journey of rediscovery into the heart of Borneo. The train has a capacity for 80 passengers accommodated in 5 colonial-period carriages that have been refurbished and restored to reflect the luxury of the era. A kitchen car serves ‘Tiffin’ styled meals, highlighting an exotic blend of colonial and continental cuisine. The railway, managed by Sutera Harbour Resort is operated to the highest of international standards and is fully compliant with modern safety standards. Passengers on board the train will be able to take in the sights and sounds of the countryside, paddy fields, mangrove jungles and pristine coastal beaches as the train chucks along the tracks from Tanjung Aru to Papar and return to Kota Kinabalu after an hour sojourn in Papar, a small town famed for being the rice bowl of Sabah. The entire train ride takes approximately 3 hours with a typical ‘tiffin’ colonial lunch serve on the return trip. Throughout the entire train ride, passengers can be assured of hospitality and 5-star service that is synonymous with Sutera Harbour Resort. Also to be available on sale is a unique collection of memorabilia and replicas of the locomotive for passengers to remember their journey on board the steam locomotive. Be the first to take a nostalgic trip into the bygone days of the British North Borneo Charter Company. The train is also available for group, incentive and private parties including a series of tailor-made theme events. Virgin Australia has just released its results for the 12 months to 30 Jun, with the net result after tax being a $67.8 million loss. CEO John Borghetti said it had been a year of "enormous challenge and significant change as we began repositioning the company to ensure a more stable financial future". He said the figures reflect the impact of an "unprecedented series of external events" and reinforce the importance of the ongoing Game Change Program strategy. Total revenue was up 9.7% to $3.27 billion, and Borghetti said the airline was beginning to reap the benefits of the changes, with corporate and government revenues up a healthy 29% year on year. Borghetti said this segment now makes up 13% of the airline's total revenue. "We expect to see further gains in the 2012 financial year as we complete the roll-out of our new product offering," he said. As well as natural disasters the result was hit by high fuel prices and the failure of the Navitaire system in Oct 2010. Borghetti said Virgin Australia was firmly committed to its revamp, with the ongoing expansion of its alliance network set to see the Delta Air Lines pact launch by the end of the year - by which time DJ is also expecting a decision on its proposed agreement with Singapore Airlines. He also announced the first stage of a revamped Velocity loyalty program, which will offer a "global network of 600 services internationally, simplified earn and burn structrues, innovative rewards for loyalty such as complimentary lounge passes and parental leave options, and importantly a new Platinum tier to provide unique benefits to our most frequent flyers". Going forward, "we are confident we have the right strategy to manage our response to changes in future market conditions and to ensure a stable and successful future for Virgin Australia," Borghetti said. Schoolies and offshore party-goers are at risk of having insurance claims rejected if they mix drugs, alcohol and dangerous activities, Australia's top online travel insurer has warned. With end-of-year celebrations approaching, Travel Insurance Direct spokesman Phil Sylvester said injuries at full-moon parties and schoolies celebrations were an increasing concern, yet many travellers were unaware they compounded the risks by acting outside the cover of their insurance. "Party destinations in countries like Thailand and Bali are increasing in popularity, but revelers need to be aware that drugs, excessive alcohol and dangerous behavior are all legitimate grounds for an insurer to reject a claim," Mr Sylvester said. "Travel insurance is essential to get you out of trouble if the worst happens, but it's important to remember you still need to act responsibly and within the bounds of local laws." In Thailand, parties in beach destinations like Ko Phangan have become popular for schoolies, along with mega-clubs in Bangkok. Bali attracts schoolies to clubs and raves in Seminyak, Legian and Kuta, while emerging party scenes are growing in destinations like Nha Trang in Vietnam and Vang Vieng in Laos. Mr Sylvester said it had become common for riverside bar owners in Vang Vieng to offer free whiskey shots or cannabis as an enticement to travellers who came for the region's river-tubing. Injuries were common and deaths had been reported among those who combined drugs and alcohol with activities like tubing, swing ropes and zip lines on the Nam Song river. "If excessive drinking or drug-taking contributes to a predicament, you could have more than a monster hangover to deal with the next morning," Mr Sylvester said. "Travel insurance is not a licence to behave stupidly, you still need to take responsibility for your own safety." While alcohol itself may not automatically jeopardise insurance cover, excessive or over-the-limit consumption could give insurers grounds to refuse a claim if it was deemed to be a factor, Mr Sylvester said. As well as the potential for injuries, travellers also needed to be aware of the risk of theft. Hostels in Koh Phangan were commonly robbed while guests were at beach parties, Mr Sylvester said, a trend that seemed to be spreading in other parts of Asia. "Secure any valuables, especially important things like passports and flight tickets," he said. "It might be tempting to take your camera or phone to record the moment, but the gangs of thieves know you'll be off-guard and not paying attention to your possessions." Sigatoka River Safari showed helping the villages they work with still remains a number one priority for the company even five years after it first began, with the recent opening of Mavua Kindergarten, in the village of Mavua, Fiji. With 40 children under 7 years of age living in the village of Mavua a kindergarten was desperately needed and had been wanted for a very long time. The only thing stopping Mavua from building their dream kindergarten was money. Sigatoka River Safari decided to help the village by advancing money to the village to help pay for the building of the kindergarten. More unexpected funds also came Mavua's way after Sigatoka River Safari hosted a group from Nutrimetics on their tour. Mavua Village was visited by the Nutrimetics Group and after hearing of the village's plight for a kindergarten they generously donated FJD$2000 to the village. "I decided early on when I started the business in 2006 that I was going to do something every six months to benefit the 15 villages we work with in the hills of Navosa and I have completed numerous projects for all the different villages. With Mavua it was fantastic to see that the Nutrimetics group was also willing to help and were so generous with their donation as it really helped Mavua complete their kindergarten" Said Jay Whyte, Sigatoka River Safari, founder and CEO. Other village projects completed by Sigatoka River Safari include supplying all the remote villages with new Easy-Tel phones so for the first time ever the villager's could communicate instantly with the outside world, installing fixed water filters in all the villages so they could access clean drinking water all day every day, donating the company's old life jackets to various villages so they could be used when crossing the river to reduce the incidents of drowning and installing a Bore Hole (drinking water) in the local Naqalimare District School after the Government threatened to close the school down unless one was installed. A percentage of all Sigatoka River Safari fares are also paid directly to the village visited on that day to fund their various respective village projects which have included putting footpaths throughout their villages, fixing and renovating community hall's, improvements to district schools, completing village churches and many other culturally important projects. United Continental Holdings (NYSE: UAL) announced that the first of its Boeing 787 Dreamliner aircraft enters the assembly phase at Boeing’s facility in Everett, Wash., today. In early 2012, United will be the first North American carrier to take delivery of the aircraft, marking the first of 50 Dreamliners for the airline. During assembly, Boeing will join the forward, center and aft fuselage sections, the wings, the horizontal stabilizer and the vertical fin. The first United 787 will be configured with 36 flat-bed seats in BusinessFirst, 63 extra-legroom seats in Economy Plus and 120 seats in Economy. The aircraft’s revolutionary cabin environment and aerodynamic design allow it to fly farther, faster and more efficiently. Customers will experience improved lighting, bigger windows, larger overhead bins, increased cabin humidity, reduced cabin pressure and enhanced ventilation systems, among other passenger-friendly features. 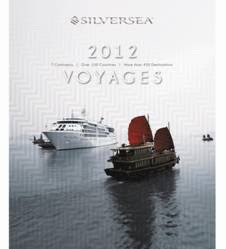 Silversea has unveiled its new full-colour, 200-page 2012 Voyage Atlas. The visually captivating picture-book details over 200 itineraries exploring seven continents, over 100 countries, and more than 450 destinations. The 2012 Voyage Atlas opens with an easy-to-read, voyage-by-voyage summary followed by a section revealing the hallmarks of Silversea's unique luxury lifestyle. The balance of the brochure provides detailed worldwide cruise itineraries by region, including highlights of shore excursions, descriptions of land programs, deck plans and general information. New for 2012 is a pricing summary booklet inserted into the back cover pocket. Plus, for the first time, the brochure features a Microsoft Tag 2D bar code on its back cover that enables smartphone users to view The World of Silversea, the company's exciting new video that invites travellers to step aboard and experience the award-winning luxury and pampering ambiance of Silversea. "We're delighted to be able to offer travellers an engaging interactive experience by incorporating the latest mobile tagging technology in our new brochure," said Karen Christensen, Silversea's director of sales and marketing and general manager for Australia and New Zealand. "Not only will you be able to read about the rewards of an all-inclusive, ultra-luxury cruise holiday, but by accessing our new video from your mobile phone, you will get to see the experience come to life." The company's popular "Passport to Luxury" promotion is available on all voyages in 2012, with the exception of Silver Explorer expedition cruises. The multi-tiered program provides an Onboard Spending Credit of up to US$1,500 per suite (US$750 per person). Silver Whisper will embark January 6 from Fort Lauderdale on her first-ever World Cruise, a remarkable 115-day journey that concludes in glamorous Monte Carlo. On this magnificent odyssey, her guests will visit 45 ports in 27 countries stretching from the Caribbean and South America to Africa, the Far East, Arabia and Europe. Along the way, they will enjoy multi-day stays in 13 major cities and exclusive insider access to seldom seen global treasures. Created for the sophisticated traveller who has the time and passion to indulge in travel on a grand scale, this special collection offers extended voyages from 24 to 61 days. These odysseys combine the luxury of sailing aboard the line's elite, all-suite ships with expanded journeys to diverse regions of the world, featuring visits to must-see traditional ports, as well as exotic destinations that are off the beaten path - all on one cruise. Silversea has created three new West Africa expedition itineraries for 2012 that visit the once colonised northwest countries, travel along coastlines infamous for their historic role in the slave trade, and explore the southern waters where vast seabird colonies are sustained by the nutrient-rich upwelling of the icy Benguela current. Château Élan at The Vintage, Australia's premiere five star golf and spa resort, was awarded Gold in the prestigious Luxury Accommodation category at the 2011 Hunter & Central Coast Awards for Excellence in Tourism, announced at Ausgrid Stadium on Thursday night. The Resort, which opened in February 2010, was also a finalist in both Health and Well Being Tourism and Meetings and Business Tourism awards. 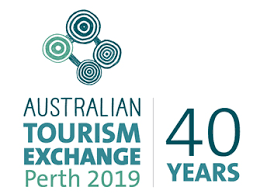 These annual awards produced by the Hunter and Central Coast Tourism attracted more than 45 entries across 23 categories. The awards recognise the best tourism products and services in the region. Erik Stuebe, CEO Château Élan Hotels & Resorts, who accepted the awards at the ceremony said, "We are thrilled that Château Élan has been recognised with this key award. As a newcomer to the Hunter Valley we have aimed at establishing a new benchmark for service and luxury in the area, both for leisure and for the MICE market. The quality of our Spa and Resort facilities is second to none and our team has worked extremely hard to ensure we are worthy of this wonderful accolade." Château Élan at The Vintage www.chateauelan.com.au is located in the Hunter Valley, just north of Sydney. The $40m development, offers luxury retreats for up to 200 guests. The resort sits among the celebrated fairways of The Vintage – the Greg Norman-designed golf course and comprises a large Spa, a collection of super-luxury spa suites and a series of private lifestyle villas. The Spa complex has 17 treatment rooms dedicated to exclusive spa rituals, traditional hydrotherapies and social relaxation. It is one of very few places in the world where people can experience Terraké treatments supplemented by products from prestige group, Thalgo. The Couples Spa Package, a delicious shared and totally immersive experience including indulgence in the Hydrolounge, Thai Herbal Compress massages and soothing heated paraffin foot treatments, has been just one of the overwhelmingly popular packages available. Château Élan, features a purpose built and state of the art conference and events venue in the Hunter, offering five flexible conference rooms, premium dining and a range of team building activities with access to the championship golf course. Air access with flights from Queensland and Melbourne into Newcastle Airport, is an easy 50 minute drive from the Resort. Château Élan at The Vintage is Australia's finest conference, golf and spa resort. It is located in the heart of the Hunter Valley. Offering a luxury escape for up to 200 guests, the resort comprises a spa with 17 treatment rooms, a hair and beauty salon, 20 super-luxury spa suites and a series of private lifestyle villas. The $40m development is just two hours north of Sydney. It has been co-conceived by the group behind Château Élan in Atlanta, Georgia. The Vintage is the Hunter Valley's premier residential lifestyle community. At its heart is a Greg Norman-designed course, which is ranked #2 in New South Wales. The Vintage has bar, conference and full dining and catering facilities; the Clubhouse is home to the renowned Legends Grill restaurant. Visitors to Hawai'i can now find timely information on events sponsored by Hawai'i Tourism Authority (HTA) at their fingertips. HTA, the state's official tourism agency, has launched its first smartphone application for Festivals of Hawai'i, providing details on more than 100 events throughout the islands. The free app is available for download on iTunes for iPhone, iPod and iPad devices. "Festivals of Hawai'i are instrumental in bringing together both residents and visitors to celebrate cultures and traditions in Hawai'i. They present travellers with a way to engage in unique island experiences and provide a taste of Hawaii's rich cultural diversity to the world." said Hawai'i Tourism Oceania Country Manager, Helen Williams. When opening the app, the user can select any of the six Hawaiian Islands to see what's happening that day. Islands include Kaua'i, O'ahu, Moloka'i, Lāna'i, Maui and Hawai'i. Events closest in date will appear first. The four most popular categories featured at the bottom of the homepage are: Hawaiian, Arts & Music, Cuisine and Sports. The user may select one of these categories or choose "More" to see the full range of categories. The "Near Me" button pulls up and displays events closest to users based on their location in the Hawaiian Islands. Each profile includes a photo along with a brief description of the event. Selecting "Favourite" bookmarks the event, while Facebook and Twitter links enable users to share the event with friends. Selecting "Directions" will pull up Google maps so that the user can obtain directions to the event of choice. "This app helps to simplify life for travellers who are looking for things to do in our islands," said HTA Tourism Brand Manager Michael Story. "As technology evolves, we will continue to look for new and innovative ways to deliver information to Hawai'i residents and visitors alike." While the first phase of the mobile app development features festivals and events sponsored by HTA, the next phase will widen the searchable database to include other events happening in Hawai'i. All events featured in the app are imported from www.gohawaii.com/FestivalsofHawaii. For more information on Festivals of Hawai'i, download the app on iTunes, "like" the page on Facebook at Festivals of Hawaii, follow @FestivalsHawaii on Twitter or visit www.gohawaii.com/FestivalsofHawaii. 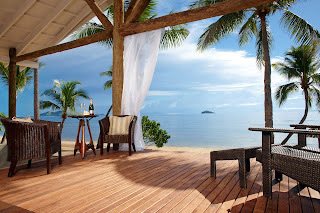 The luxurious Tadrai Island Resort - Fiji will be officially open on September 1 and will be the Mamanuca Island's only all inclusive, five star, couples only resort. Some may even mistake it for the most romantic place on earth! "We are very excited to be able to offer clients a new luxury 5 star resort in the Mamanuca Islands. 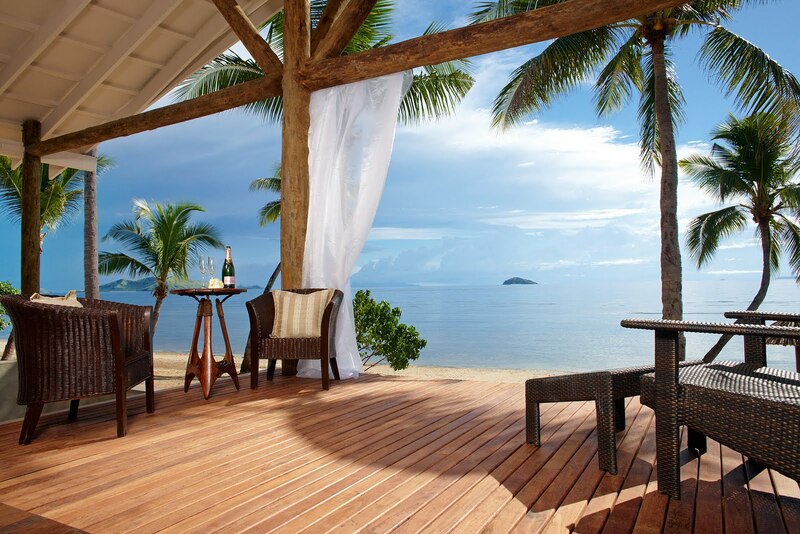 We are particularly excited that we have the first truly all inclusive resort for our customers in this part of Fiji." "We want Tadrai Island Resort to be seen as the ultimate paradise for guests, who will experience a level of Fijian service and hospitality not yet seen in the Mamanucas. It is a very exciting time." explains Managing Director, Mr Aaron McGrath. All beachfront villas are 100sqm in size and feature their own outdoor plunge pools, private decks with day beds, personal butler service, king beds, indoor/outdoor showers, complimentary high speed wireless internet and ipads, ipod/iphone docking stations, air conditioning and ceiling fans, flat screen LCD TV's, cable/satellite TV, DVD Library, in-house movies, personal wine coolers, larger stone bathtubs, in room safe, IDD telephone, and espresso/coffee machines and tea making facilities. Guests can also indulge in in-villa dining, where they can enjoy any dish featured on the restaurants menu, or request a special dish of their own, in the privacy of their own villa. For true romantics a picnic for two can also be organised at any of the resort's wonderfully secluded locations. Also found in the resort's central facility is Tadrai's Bar, the perfect place to indulge in a cocktail or two, the resorts large fresh water pool and a guest lounge and library. ﻿Fiji has just experienced one of the biggest swells of the last twenty years, at the legendary Cloudbreak - a permanent six-metre wave found offshore at Tavarua. Professional and Big Wave surfers from all over the world flew in to experience what is recognized as one of the most perfect waves on the planet. So it is fitting that the ASP International, The Association of Surfing Professionals, has just announced they will be hosting the Volcom Fiji Pro at Fiji's Cloudbreak in 2012. The event will see the return of the Worlds' best surfers to Fiji for the 2012 ASOP World Title season. Fiji will also be hosting a stand up paddle event in November 2011, where 150 competitors from around the world are expected to take part. Famous with surfing aficionados the world over, Fiji offers perfect reef breaks that remain uncrowded - it is still possible to visit Fiji and discover un surfed waters that most surfers dream of! Fiji has around 11,000 dedicated surf tourists who visit the 333 islands that make up the South Pacific country. Other well-known breaks include Restaurants, Mini Cloudbreak, Nomotu left and Desperations in the Mamanuca Islands. On the Coral coast there are many dedicated waves such as Hideaway Reef, Sigatoka Beach, Serua Reef and off Bega Lagoon there is the world famous Frigates Passage. In addition there are now waves opening up off the rarely visited Lau group of islands and off Qamea Island. STA Travel and Trailfinders both offer a good selection of low cost flights and accommodation to Fiji. Australia might portray itself internationally as a leader in environmental commitment, but a new business travel survey shows that if this translates into paying extra to stay in an environmentally-sensitive hotel, Australian corporate road-warriors appear to be more mean than green. The Accor Asia Pacific Business Traveller Survey 2011 shows that out of the 10,437 respondents, Australian business travelers were the second least-inclined to pay more for a credentialed "green" hotel. This was despite the fact that Australians had the largest and least-restricted travel budgets in Asia Pacific. The research, conducted by leading Asia Pacific research consultancy Cimigo Ltd, surveyed members of Accor's A|Club loyalty programme from eight destinations: Australia, China, Hong Kong SAR, India, Indonesia, Singapore, New Zealand and Thailand. Accor is Australia's largest hotel group with over 150 hotels under brands including Sofitel, Pullman, Novotel, Mercure, All Seasons and Ibis. Australians more likely to be mean, than green – when asked whether they would choose a hotel above others simply because it was more environmentally conscious, Australian corporate travelers were the least likely to show their green colours, and only 38% of Australians said they would be prepared to pay more to stay at a conspicuously green hotel. This compares with 91% of Chinese, 67% of Indonesians and 62% of Indians. Females were by far more committed to the green cause than their male counterparts, with 42% of females (compared to 32% males) prepared to pay more. Australians had the largest hotel travel allowance in the Asia Pacific region – Australians had an average of US$158 allowance to spend on their nightly accommodation, almost 20% higher than business travelers from any of the other seven countries surveyed. Travellers from Australia are also likely to have 'no defined allowance' for business travel. Location and familiarity come well before price in determining choice of hotel – while location was the primary reason for travelers from all Asia Pacific countries selecting a hotel, Australians placed higher importance on location (56%) and familiarity with the hotel/brand well ahead of price. Australians less likely to work in hotel rooms during business trips – Where as 82% of Chinese and Singaporean corporate travelers will work in the hotel during their international business trips, only 72% of Australians said they worked at the hotel during trips. This is possibly because Australians are more likely to travel overseas for "conventions' and "trade shows", rather than the more direct sales missions undertaken by Chinese and Singaporeans. The 21st century doesn't seem to have changed the inequality between the sexes in terms of business travel – if there was one area of agreement across the eight countries surveyed it was that the boys club was alive and thriving in 2011. In each market, the majority of respondents were male, especially in India, where female business travellers were a significant minority. The discrepancy might be higher in Asia – eg 93% vs 7% male vs female in India – but Hong Kong and Thailand had the highest incidence of female business travelers, while there was a major imbalance in Australian corporate travelers: 71% males and just 29% females. "While some of the results could have been predicted, there were other areas that showed marked differences in business travel habits and preferences depending on the respondent's country of origin," said Evan Lewis, Vice President Communications for Accor Asia Pacific. "It would seem that most companies in most countries – apart from China – are cautious about business travel in the second half of the year, with no discernible rise in trips planned. Short-haul international trips such as intra-Asia or trans-Tasman were nominated as the most likely journeys. "The survey found that business travelers in Asia Pacific were increasingly 'environmentally aware' but travelers from Asia were far more likely to put their money where their convictions were when it came to supporting environmentally-friendly hotels. This is possibly because in Asia environmental awareness is a newer phenomenon than in Australia, where the current carbon tax debate may have led to greater environmental apathy towards paying more for supporting green hotels. Having said that our Mercure hotels' carbon-neutral conferencing has proved extremely popular, and the difference in the survey findings between Australia and Asia may be because travelers expect hotels to be environmentally conscious and don't think they need to pay for that. Female travelers across the region were more environmentally driven than their male counterparts. "The question of internet access remains a contentious one. Many hotels across the region now offer limited free internet access, which does satisfy the needs of a large number of travelers, but for corporate travellers who need to work in their rooms, prepare reports or presentations or download large attachments, the issue is more of speed and capacity. They are prepared to pay if the capacity is high and speed fast. The importance of the net is also being reflected in Australia with many companies now negotiating 'bed and broadband' deals in preference to 'bed and breakfast', though it would appear from our research that Asian business travelers believe they work harder while on the road than Australians. "With over 10,000 respondents to the survey it was a surprise to find that business travel was still so comprehensively dominated by male road-warriors. Whether that has been exacerbated by the GFC is hard to know, but the discrepancy does not appear to have narrowed all that significantly in recent years, despite all the efforts made." 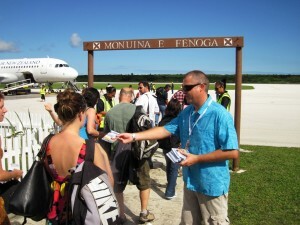 In December 2010, HM magazine ran a feature on the development of the tiny island nation of Niue, unknown to most members of the travelling public and in response, HM ventured to Niue to see for himself the progress of tourism development and to meet Hayden Porter, the man tasked with expanding the “Rock of Polynesia”. With just 1500 permanent residents on the 269 sq km island, tourism on Niue is always going to be a niche product with focus on sustainability and responsible tourism practices. Currently just 6000 visitors arrive in Niue annually, attracted primarily by the superb scuba diving, fishing and whale watching. The plan is to treble that figure. There have been several offers from international investors wishing build new hotels, but these have been rejected based on the sustainability of these projects. Instead of a new build, the current premier accommodation offering, the Matavei Resort, is being redeveloped and expanded with the addition of a further 20 rooms. For the short to medium term, the Niue Government will relinquish their 50% stake in the Matavei and allow a private New Zealand trust to oversee the expansion and refurbishment of the 15-year-old property. The plan, according to Porter, is to build the property into a solid profit position and then return the Niue Government stake. With traditionally high occupancy rates, that is goal is achievable. New General Manager, Adrian Walters, has just arrived from New Zealand and will begin immediately. Walters was most recently from Copthorne Hotel New Plymouth and the Wananavu Beach Resort, Fiji, prior to that. Apart from private and NZ aid, the UN have also assisted with funding small tourism projects, especially for the rebuilding required after the devastation of Cyclone Heta in January 2004. But these offers must also be examined carefully, says Porter. Since going to press last December, HM can report that an accommodation booking engine has been launched with technology partner, www.seekom.com, of Wellington NZ; the first ATM is en route by ship and the plan for a mobile phone network is progressing with visiting New Zealand Foreign Minister Murray McCully receiving the Niue phone network’s first call from Niue Premier Toke Talagi in Alofi last week (22 July). Currently the supply by air is limited to a single Air New Zealand A320 per week, many of which are taken up by residents either visiting or returning from New Zealand. A 20 per cent capacity increase was gained over the 737 used previously and Porter hopes a second flight is not too far away. The Tourism Authority of Thailand (TAT) proudly acknowledges Bangkok as "Best City in the World 2011" as judged by the readers of the popular Travel + Leisure magazine which was announced at an award ceremony held in Los Angeles . It was the second consecutive year for Bangkok to win the prestigious award and just one of many accolades and awards presented to destination Thailand and Thai properties at this year's ceremony. In addition to the "Best City in the World" accolade, Bangkok's tourism acumen was further highlighted among the "Best Hotels of the World" list, with the Mandarin Oriental Bangkok, ranking at No. 23 in the world; making it the best city hotel in Asia. Additionally, The Peninsula Bangkok was also featured ranking at No. 40. Thailand's hotels and resorts outside Bangkok also demonstrated the kingdom's strong appeal especially among international holiday makers with the Mandarin Oriental Dhara Dhevi, located in Thailand's northern city of Chiang Mai, surging to No. 7 on the world's best overall list, and making it the world's second "Best Resort" and "Asia's Best Resort". Also located in Chiang Mai and performing strongly was the Four Seasons resort ranking No. 45, overall and seventh as a resort. As resorts, the Dusit Thani Laguna Resort located in Phuket was ranked 11th, while the Anantara Golden Triangle Resort & Spa located in Chiang Rai was ranked 15th. Tourism Authority of Thailand Director for Dubai and Middle East Office, Mr. Pramoth Supyen says: "It was indeed, an overwhelming recognition for Thailand. Despite the tight competition for best hotels and resorts in the world, Thailand still managed to win the hearts of many travellers. These results are clear proof of how tourists truly fall in love with Thailand." Tourism plays a vital role in Thailand's economy, and the recognition provided by the latest Travel + Leisure survey is expected to bode well as a destination of sustained potential for both investors and tourists alike. Says Supyen: "All Thais hope that people around the world and especially the Middle East, will once again return and experience the vibe and excitement of Thailand no matter what time of the year, and in order to encourage tourists to do so, we as a tourism board, will continue to challenge ourselves by producing newer and more effective informational channels, campaigns and promotions." The readers of Travel + Leisure have voted and ranked Hawaiian Airlines as the top U. S. carrier serving Hawaii, according to the magazine's 2011 World's Best Awards. Blaine Miyasato, Hawaiian's vice president of product development, credits the authenticity of Hawaiian's "Hawaii flies with us" service experience for the high ranking. Miyasato says the Hawaiian Airlines experience begins well before you arrive and is celebrated throughout each flight with the culture, natural beauty, people, and aloha spirit of Hawaii. "We're thrilled the readers of Travel + Leisure recognize the careful thought and effort we put into making a trip to and from Hawaii as enjoyable as possible," said Miyasato. "Starting from our initial encounter, we embrace our guests with the true spirit of aloha, and show them what makes Hawaii such a beautiful experience through the sights, sounds and tastes of the islands." Hawaiian's quality of service to travellers goes beyond its distinctive brand of service. Along with being the nation's best on-time airline and offering conveniently scheduled daily, nonstop flights from 10 gateway cities, Hawaiian is the only U.S. carrier serving Hawaii to provide complimentary meals in coach and use exclusively wide-body, twin-aisle aircraft for all of its transpacific flights. Readers of Travel + Leisure were invited by the magazine earlier this year to rate the quality of service offered by domestic carriers in four categories: cabin comfort, in-flight service, customer service, and value. 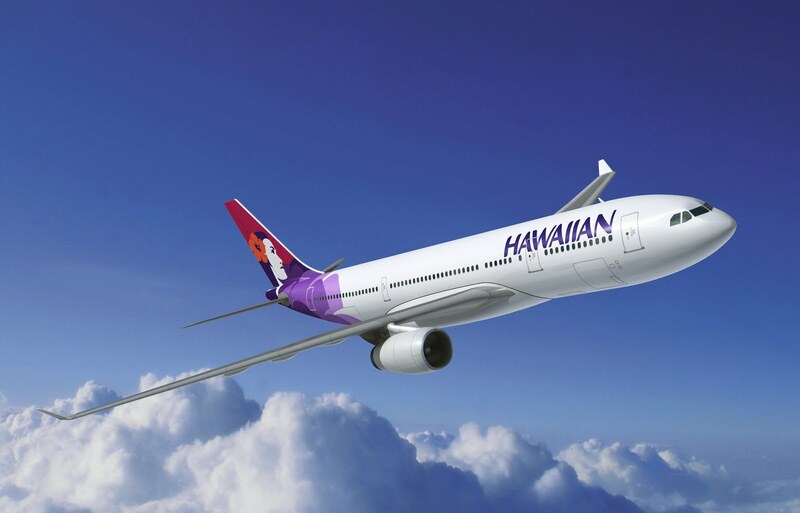 Hawaiian came out as the top-ranked carrier serving Hawaii and ranked third overall following Virgin America and JetBlue Airways. Travel + Leisure is one of the travel industry's most respected publications with a readership largely comprised of sophisticated world travellers. The magazine's 2011 World Best Awards is published in the August issue and, in addition to airlines, includes rankings of the best hotels, cities, islands, cruise lines, tour operators and safari outfitters, rental-car agencies, destination spas, and hotel spas worldwide. Fiji will be the venue for the Channel Nine's Today Show's national Australian weather reports this week. Scheduled from tomorrow (02 August), the program will feature five daily crosses broadcast live from hotels and resorts on Viti Levu and in the Mamanuca Islands. An estimated national daily audience peaking at around the 2.7 million mark is expected to tune in to the high rating show. Fiji hoteliers joining Tourism Fiji and its chief partner in the exercise Qantas Holidays include the Intercontinental Golf Resort & Spa at Natadola (Tuesday), the Westin Denarau Island Resort & Spa (Wednesday), Plantation Island Resort (Thursday) and Tokoriki Island Resort (Friday). All four hotelier partners' properties and their various activities – from sports, spas and kids clubs to culture and romantic venues – will provide settings for the weather updates delivered by weather presenter Steve Jacobs. Air Pacific has also joined in the exercise flying the crew and its equipment to Fiji. Tourism Fiji Regional Director Australia, Paresh Pant said the advertising and PR value of the exercise was significant, estimated in excess of AUD1.6 million per day. "This event provides Tourism Fiji and its partners with a huge opportunity to directly reach large numbers of Australian consumers," he said. "At the same time the mix of hotels and resorts involved in the broadcast allows us to demonstrate just how multi-faceted Fiji has become to a discerning, nationally-spread audience and our ability to service all travel requirements, irrespective of taste, requirement or budget."